Closing gaps between collectors and artists. Databroker is a data company that uniquely fuses collectors and artists whose goal is to fuel data-driven results. With our collectors database, we power marketing insight for the young artists. Today we are focused on innovating technologies that enable clients to extend their art investment in a perfect marketing partner ecosystem. 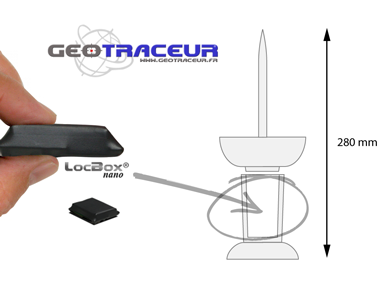 Collectors buy a databroker GPS golden pin which contains a Locbox© Nano by Geotraceur Company. For a fee, we deliver the collectors and galleries coordinates' to the young artists who are needing an artistic network and support. They can follow the golden pins on the website and easily contact people to sell artworks. Make a good deed Ladies and Gentlemen ! Help your Art, their Art, our Art to grow ! 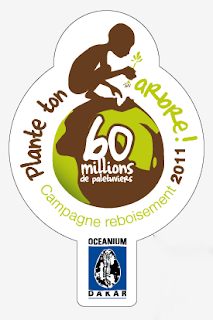 We redistribute it to Oceanium Dakar a non-governmental organization. Protect the planet with a fair trade attitude : With your donations you plant trees ! databroker - © E+B 2013.